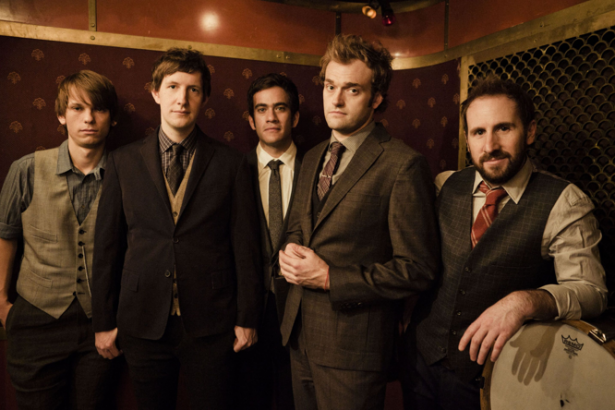 Punch Brothers are the New York City-based quintet of mandolinist Chris Thile, guitarist Chris Eldridge, bassist Paul Kowert, banjoist Noam Pikelny and violinist Gabe Witcher. Their new album Who’s Feeling Young Now? has Vanity Fair raving, hailing it as "their most expressive work yet as an ensemble -- sophisticated, pop-y, kinetic and profound, all at once." 1. LIKE the BeeVancity page. 2. Follow @BeeVancity on twitter and tweet the following: "I just entered to win tickets to Punch Brothers @ChanCentre! Thanks @BeeVancity!" Do all 3 things by Nov 19 - Monday 3pm. Good luck!